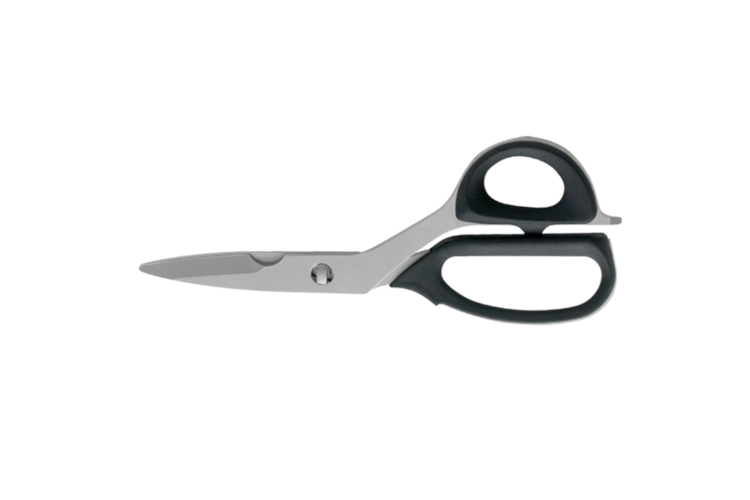 Shun Kitchen Shears are great all-purpose kitchen shears that come apart for easy cleaning and provide amazing precision in the kitchen. They can be used for cutting food, flowers and paper and the metal insert opens bottle caps. The blades are made of Sandvik14C28N stainless steel with a Tungsten DLC coating and the handles are made of Santoprene for comfort and ease of cleaning. Shun is a part of the KAI Corporation, a family-owned company located in Seki City, Japan which celebrated its 100th anniversary in 2008. KAI is the major manufacturer and distributor of disposable razors, surgical tools, personal care products and housewares in Japan. In the United States, KAI has established several brand including: Shun cutlery and housewares, Kershaw sporting knives and Zero Tolerance military knives.